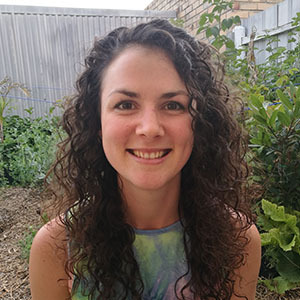 Freya Graf is a Melbourne-based Yoni Mapping Therapist with a passion for holistic health, well-being and personal development. With a background of study in yoni massage, facilitation, childcare, yoga teaching, tantric bodywork and sacred sexuality, Freya has established her Yoni Mapping Therapy practice in Melbourne’s inner suburbs (to her immense excitement!). Freya has a deep understanding and respect for what it is to be a woman and is continuously amazed and filled with gratitude for her opportunity to work with women in such a special and important way. Freya is inspired by nature’s innate wisdom, reflected in our amazing bodies and in the natural environment that she loves to get amongst and explore. Her passions range from nutrition, cooking, reading endless stacks of books and creating natural skincare products in her kitchen to dance and movement, learning, singing joyfully, organic gardening, and real human connection. “My experiences with Freya have been nurturing, beautiful and completely non-judgemental. Freya created an incredible space for me to experience Yoni Mapping Therapy and to learn about my own body and what it is capable of. I felt really safe in the experience as someone who is pregnant and I had a profound experience which really connected me to my baby. In our session together Freya expanded my awareness about the different parts of my body, which was equal parts educational and empowering. Extending this exploration and practice, Freya also created a take-home plan for me so I can continue this unfolding journey. I’m very grateful to have Freya introduce me to this modality.